"General License 16 authorizes US persons to engage in specified transactions related to winding down or maintaining business involving EN+ Group PLC, JSC EuroSibEnergo, or any entity in which EN+ Group PLC or JSC EuroSibEnergo owns, directly or indirectly, a 50 percent or greater interest, until October 23, 2018," the Treasury said. Earlier in the day, En+ Group's press service said that President Maxim Sokov has resigned from his position and left the company's board of directors on June 1. "Sokov has abandoned all roles and responsibilities related to the Group," the press release read. US Treasury has announced earlier that Washington could reconsider sanctions against Russian companies if sanctioned individuals such as Oleg Deripaska sever ties with those entities. 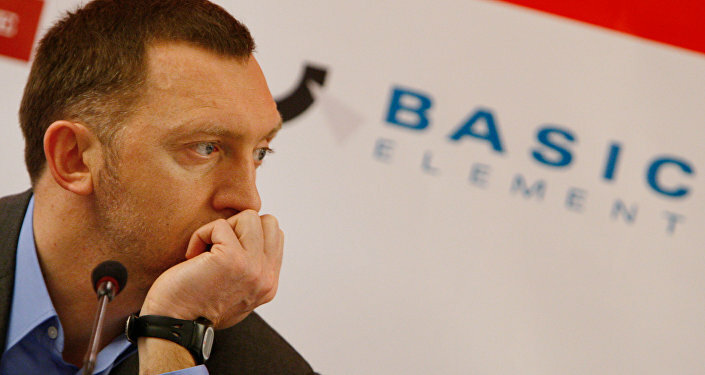 Oleg Deripaska stepped down last month as the director of Rusal and quit the board of directors at En+ Group, reducing his stake in the company. In early April, the United States imposed new sanctions against Russia, affecting a number of key businessmen and companies controlled by them. Deripaska and his En+ Group, GAZ, Basic Element and Rusal were among the companies and individuals included on the list.